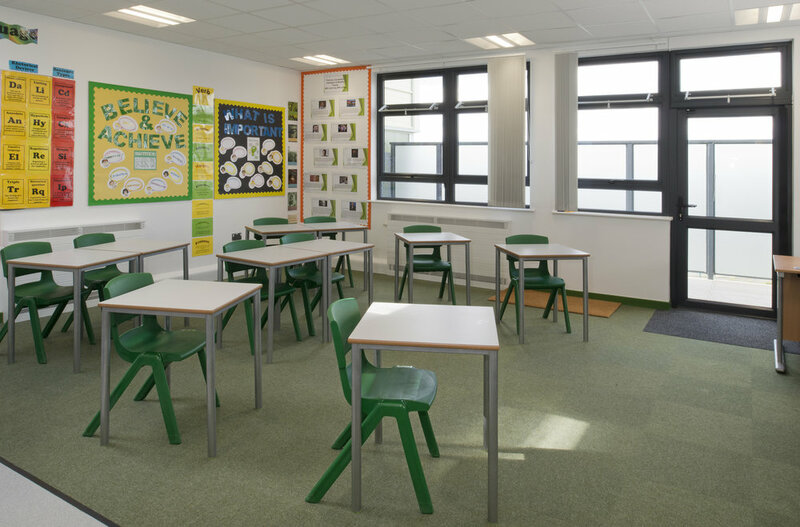 Extraspace Solutions were awarded the project to Design and Build a new education facility for Oldham Council, through the CCS Framework Agreement. The scheme is a complete new Academy, to provide education and additional learning, for children aged 4 to 19, on the Autism Spectrum and will also include additional community facilities. 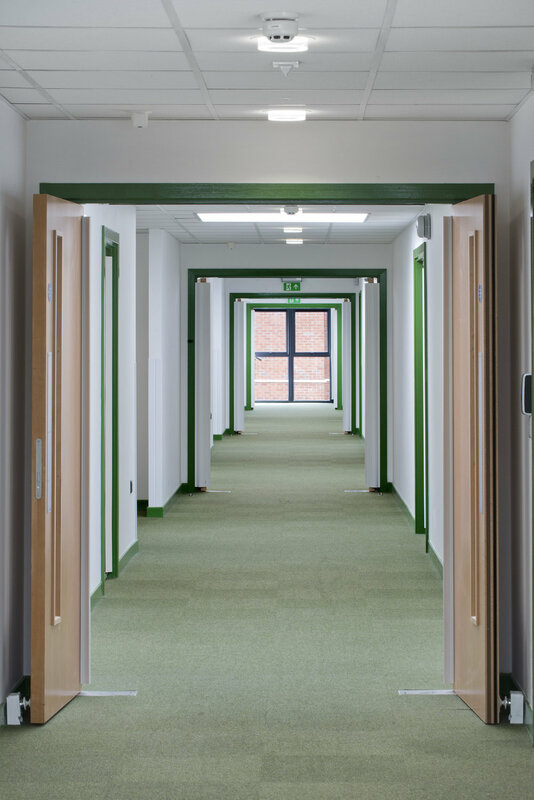 The entire project encompasses a 2 storey teaching block, compromising 19 classrooms and associated stores, toilet facilities, food preparation rooms, fully fitted kitchen, conference rooms, resource rooms, sensory rooms, staff offices and main reception. 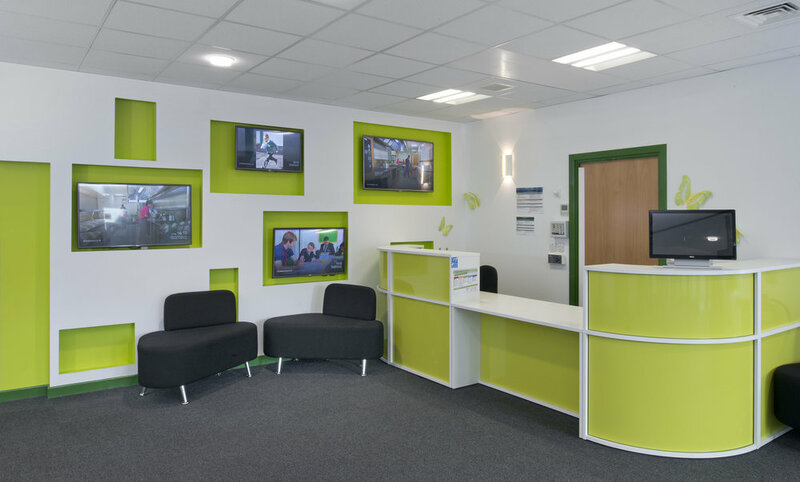 The teaching block includes 2 staircases and a DDA compliant lift. The teaching block is finished in a combination of render and colourcoat steel with a kingspan roof finish. It is linked to a multi use sports hall and retail outlet. This section of the build is a portal frame steel construction with Kinspan cladding encompassing translucent panels. 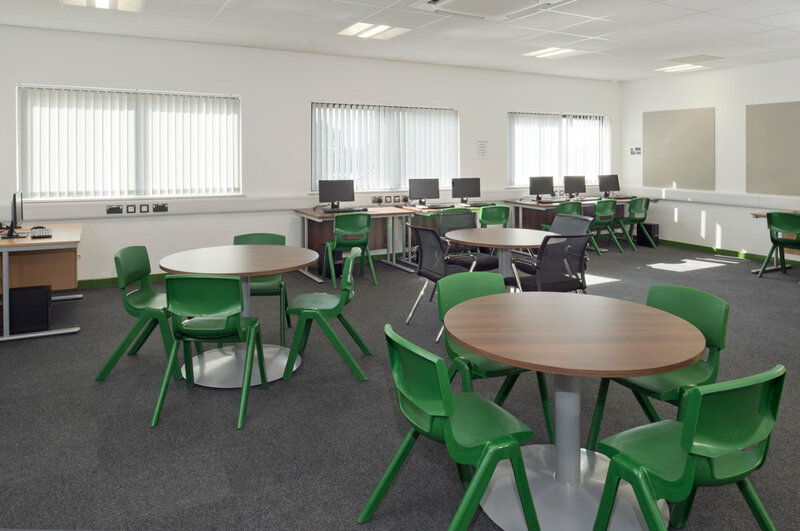 The fit out in this building includes the provision of a dining hall, full multi use sports hall and associated changing rooms. The building also caters for community use and boasts a fully fitted ball hall (jungle gym) for children and 3 retail shop units. 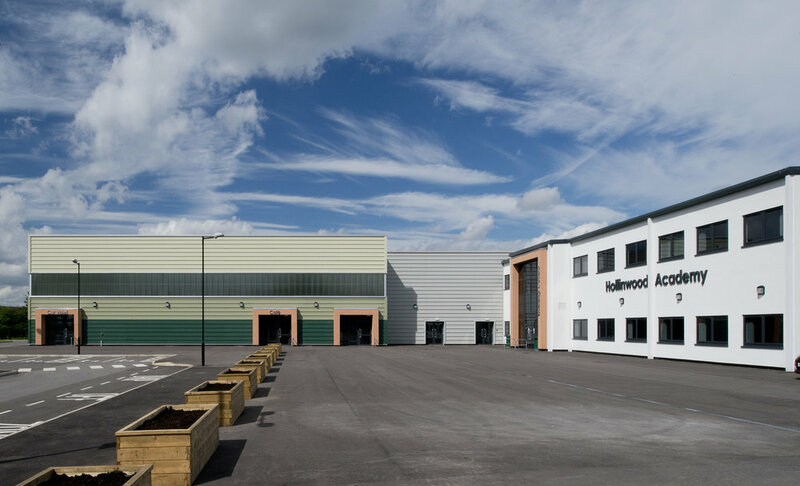 The site was fully developed by Extrasapce Solutions, including all foundations, drainage, civil works, fencing and landscaping. This includes external play space, open concourse areas and a designed roadway and parking system for up to 150 vehicles.